Summer has finally reached good ol' blighty! The past week, we've had the best weather in London and all we want to do, is bask in its beauty. Up at the crack of dawn, Leanora ready and off to nursery I set off to meet some friends for a catch-up, plus try a relatively new restaurant which I've been dying to try since its, beautiful earthy doors opened in Notting Hill, Farmacy! 3 little hungry piggies entered the restaurant and squealed in unison, it is truly opulent. It looked and felt like we had entered into a Midsummers Night's Dream, well minus all the magical creatures. We took our seats in one of the cosy booths and set upon the menu. 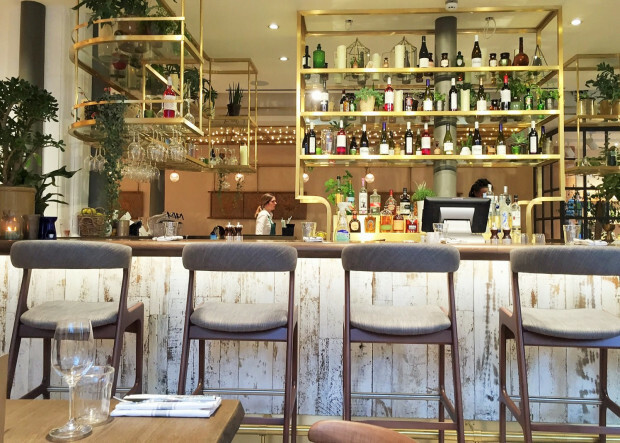 Now if you are a meat eater, this new kid on the block may not be up your street, but if you are looking for a healthy treat then this is the place to be. Too hungry for starters, we headed straight for lunch. It is not a vast menu, but it is all very healthy and packs a punch full of flavours, no matter what you fancy to burgers, curries, pizza, to spelt pasta and earth bowls there is something here for everyone. 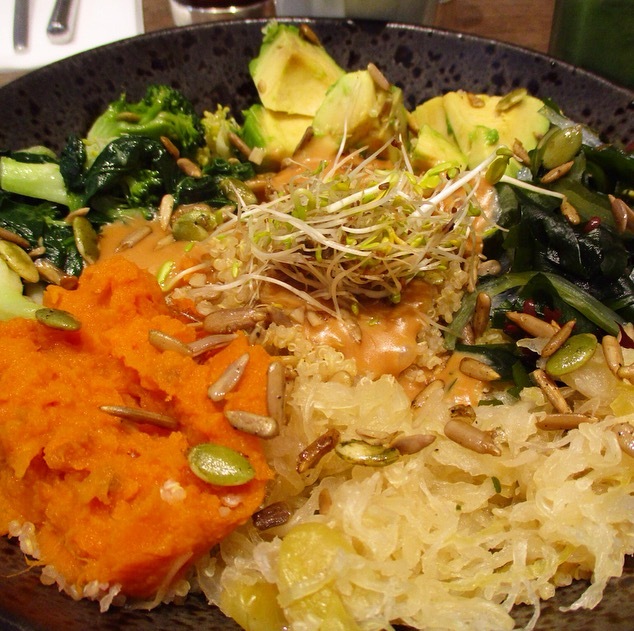 Kraig and Reece went for the Indian Bowl and I ordered the Macro Bowl. If you asked me a few years ago, would I just eat a bowl full of vegetables with quinoa and without meat, I would have looked at you in horror! But fast forward a few years and my life changes, I am a total convert into this new way of healthy eating and living and I can not get enough of it. Now, yes I do still eat meat and fish but not as much anymore, as human we were never really meant to eat meat our digestive systems were not made to digest meat. Anyway back to the delightful goodness laid in front of me! It was a great tasting dish, it had my taste buds working overtime in a good way, plus I am now a big fan of sauerkraut and I did not realise how easy it is to make yourself (well I heard it takes at least a month) and think I shall be taking a trip to Ikea soon, to purchase some new jars so that I can have my own personal stash. All washed down with a Green Warrior Smoothie, not a great choice with my lunch, something more suited to a breakfast drink or post workout, but it was very interesting! 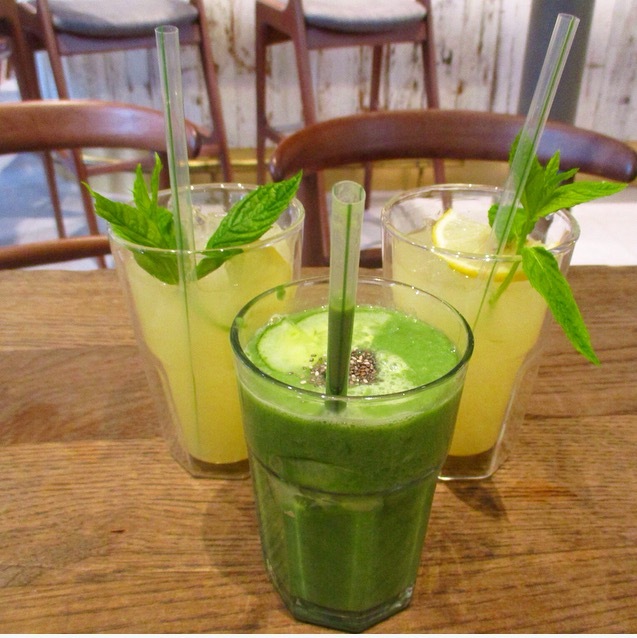 I should have followed suit with the others and ordered the Lemon-aid, which was amazing and very fresh and clean, no added sugars, not a fan of majorly sweet drinks which sometimes Lemon drinks can be. 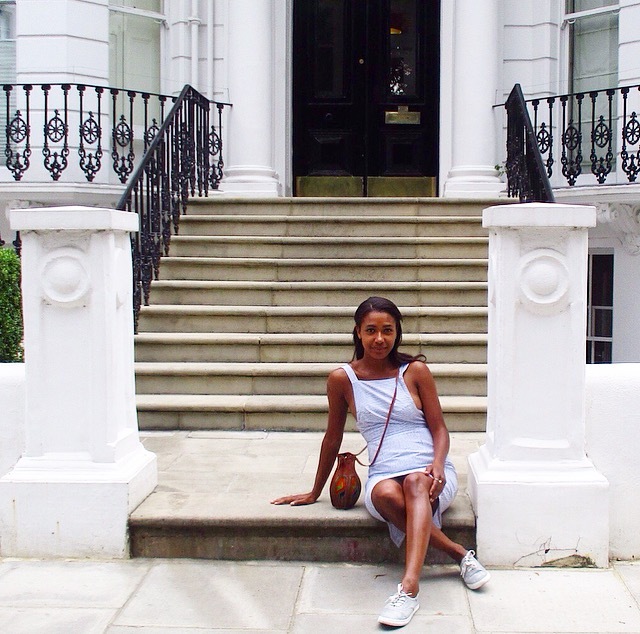 I left feeling really stuffed and extremely healthy and a great start to my weekend, before we hit the shops went for a stroll around Notting Hill. 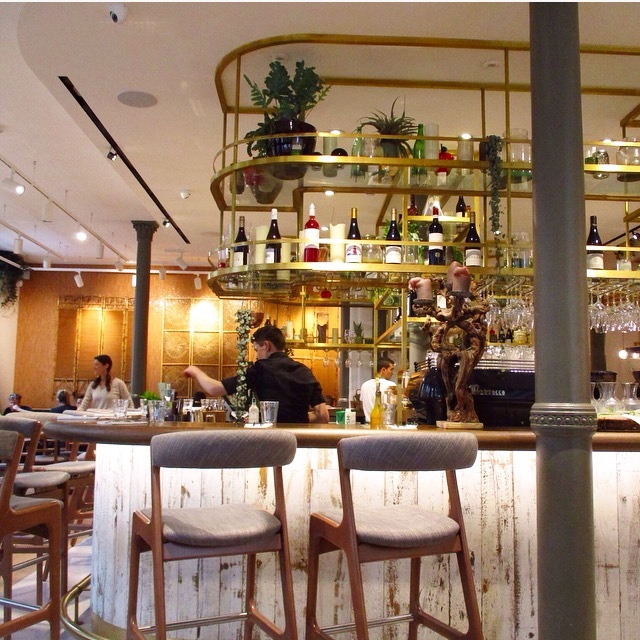 I would certainly recommend going to Farmacy you can find them on Westbourne Grove, they are very family friendly, they even have a kids menu too, plus an added bonus they are pet lovers as we saw a few gorgeous pet pooches wandering around. 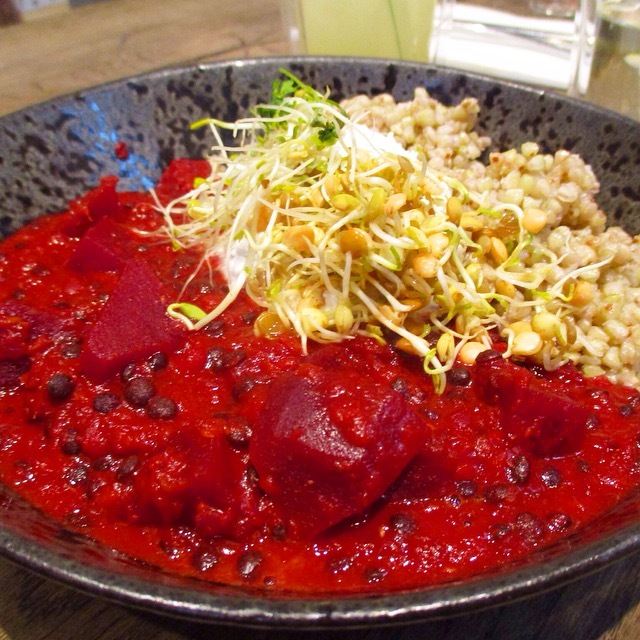 Have you been to any new dining spots, that are worth checking out? 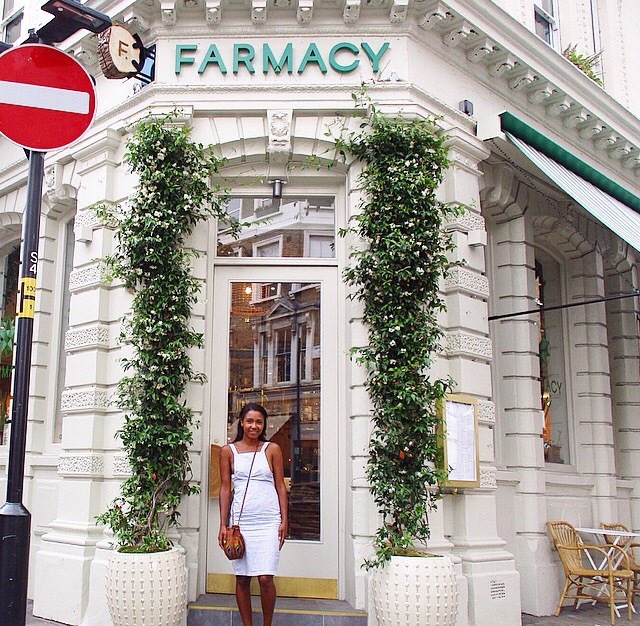 Have you been to Farmacy before what were your thoughts? Don't forget to follow me on Bloglovin for all the latest posts and blogs and if you don't have time to go through it now you can always save it to read later, plus you can also like my Facebook Page here.